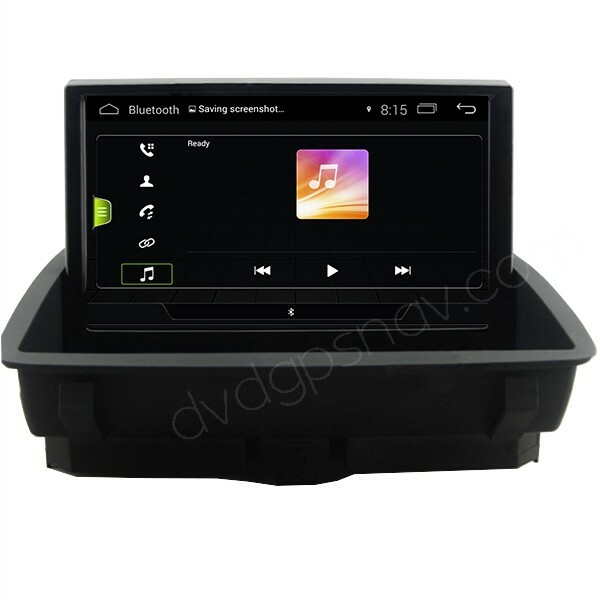 This android head unit is special for Audi Q3, replacing the factory screen with a new HD 1024*600 resolution capacitive screen, adding Android GPS navigation system, Bluetooth hands free phone calling, Bluetooth streaming music, WiFi, Mirror-link function, etc. Free Gift: 8GB SD card with GPS maps, update is also free when available from us. 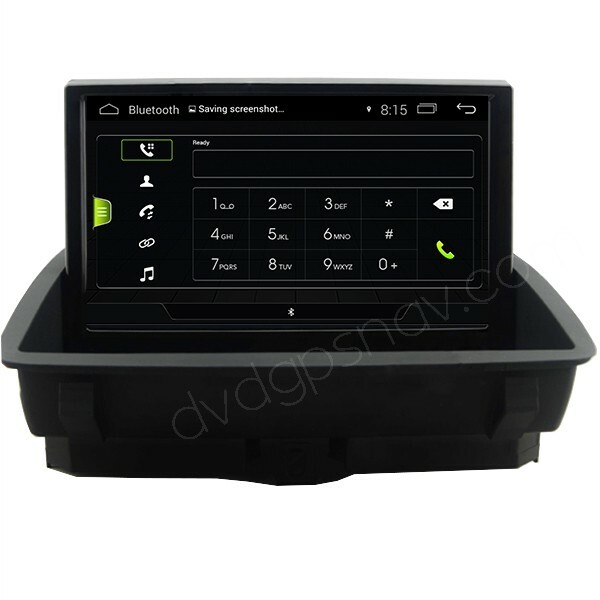 This android head unit is special for Audi Q3, replacing the factory screen with a new HD 1024*600 resolution capacitive screen, adding Android GPS navigation system, Bluetooth hands free phone calling, Bluetooth streaming music, WiFi, Mirror-link function, etc. 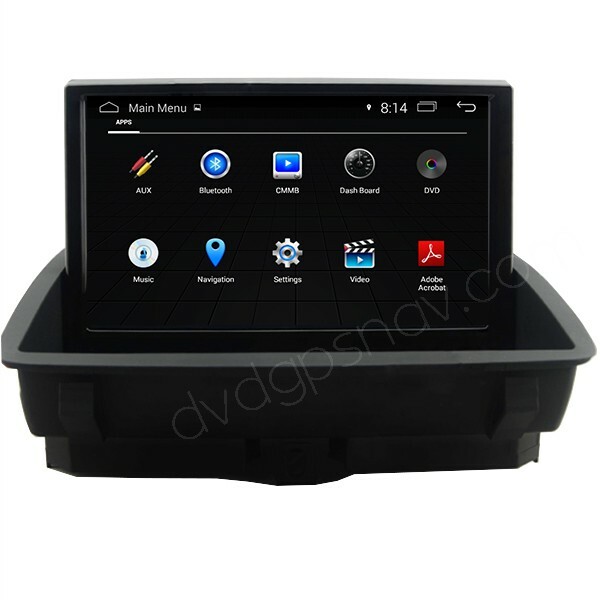 With the new Android Audi Q3 navigation unit, you are able to switch between factory menus and new menus on one screen, so your original car radio and CD player can still work after installation of this new headunit, an external one din DVD player is optional. I have installed this gps unit for my 2016 Audi Q3 last week, good quality, screen can fold down and up, though it's just with Android 4.4 system, this unit performs quite well! The best replacement screen for Audi Q3 i have ever seen. A: Yes, it also supports factory installed rear view camera displaying. You can hear the radio or cd music and the navigation sound at the same time through car speakers. Mirror-link app was already installed, you can use it with iphone or android phone, sound also works for mirror-link. Q: I have Audi Q3 (WAUZZZ8U7ER070099) from Germany. In the RMC system I can reach only Car setup, Media, Radio, and Parking aid. I need Bluetooth connection to my Sony Xperia Z5 Compact (Android 7.1.1) phone, for hand free communication, and Car Rear View night camera with gridlines. Navigation is not so important, but if it is in the package, and the Europe map is up to date it’s OK. Is it possible to view movie from SD card or from USB pendrive (I don’t have usb connection now) or for that I need the DVD player? Video playback while driving is enabled? 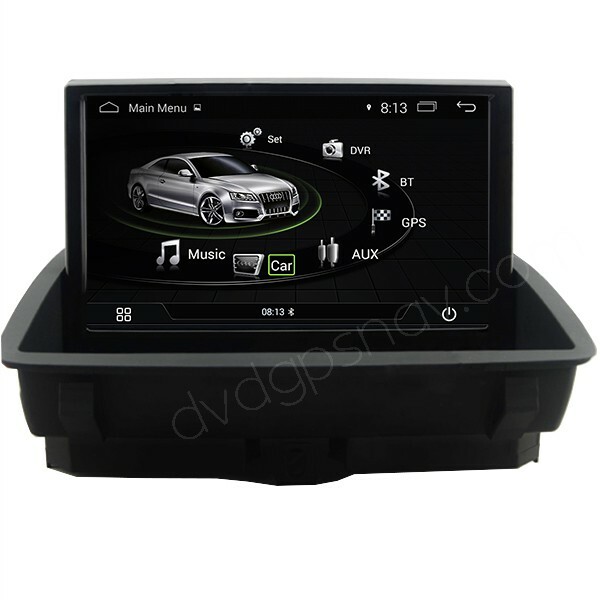 A: This Android Audi Q3 head unit can pair with your phone for Bluetooth hands free communication, and it can support original camera or aftermarket backup camera with guide lines. Navigation is just a basic function so it's included, and we will send you maps for Europe, free to use. You can copy songs or movies through USB, there are 3 USB ports included, so don't need another DVD player to play videos. Video playing works while driving, this can be set to on or off in settings. A: Hi, it should work with your 2015 Audi Q3 as well, in order to make sure, please send a clear dashboard photo for us to check further.